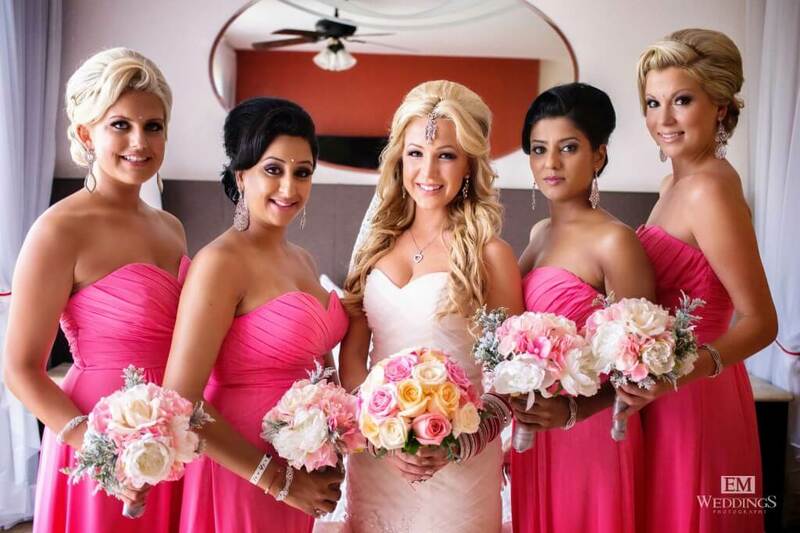 When it comes to gorgeous, unforgettable wedding hair and make-up, it just doesn’t get any better than this bride, Meghan, and her beautiful wedding party at the Bel Air Los Cabos! 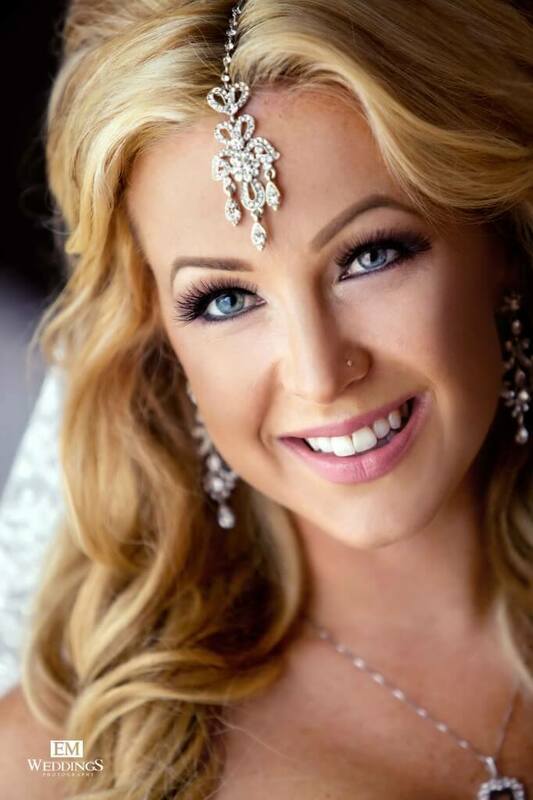 Meghan wanted an Indian-inspired look for her multicultural destination wedding this past August. 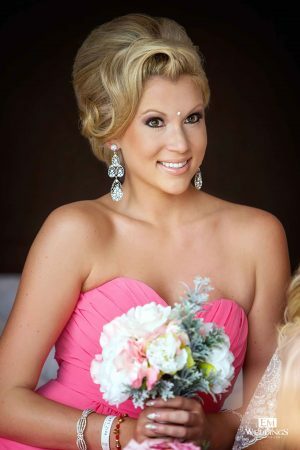 We styled this bride in a gorgeous half up- half down-do with lots of volume. The center part in her hairstyle allowed her intricate hair jewelry to be the main focus of this unique bridal look. 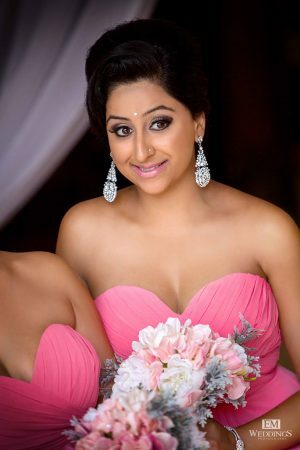 A soft lip also left her stunning eye make-up to stand out and tied the bride’s unforgettable hair and make-up style to the rest of her bridal party. Of course the lovely bridesmaids also looked amazing with their dramatic up-dos and glamorous make-up, but we think the bride’s flawless look really stole the show! We want to extend a special thank you to Creative Destination Events and Linens, Things and More…for the incomparable team effort in pulling this wedding off in 48 hours without a hitch! 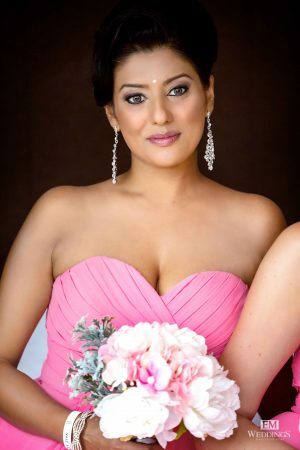 This entry was posted in Cabo Bridal Hair and Makeup and tagged Bel Air Los Cabos wedding, Cabo bridal salon, Cabo makeup artist, Cabo mobile salon, Cabo wedding down do, Cabo wedding stylist, Cabo wedding up do, Cabo wedding vendor, Creative Destination Events, dramatic bridal makeup in Cabo, Enrique Morales photography, Indian hair Cabo, Indian inspired bridal hair, Indian inspired makeup look, Indian wedding Cabo, Indian wedding makeup Cabo, multicultural bridal style, multicultural wedding style, Suzanne Morel.